Check out this two-part video from John Tendy detailing his use of the StudioLive RM16AI to mix and record a real gig, and then take home the recordings to do a quick (and I mean quick) mix in Studio One! This is a great no-frills, real-world look at the practicality and power of the StudioLive RM16AI. Tremendous thanks to John for his work on this and support of PreSonus! We appreciate you. Hey folks—the time has come to add cascading to the StudioLive RM mixers, and we’ve decided to run a public beta to stomp out any bugs before the update goes into wide release. We expect to have the beta concluded after around 30 days. 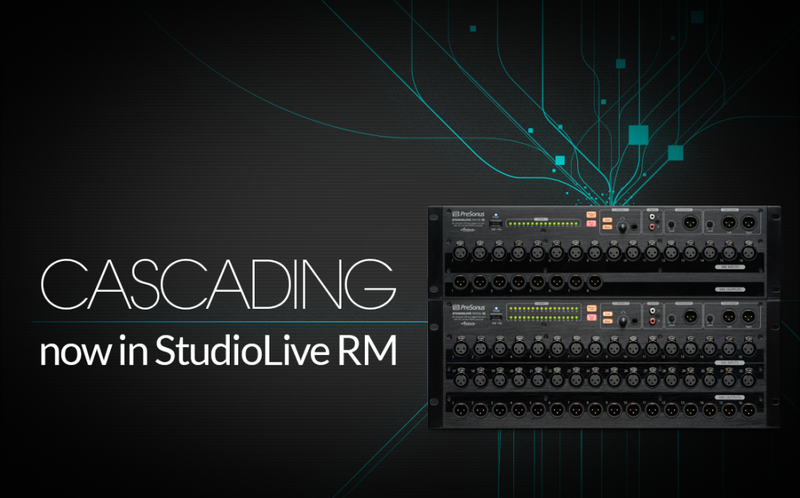 With cascading added to the RM series, users will be able to combine two RM32AI mixers for a 64-channel mix system to be controlled via the StudioLive CS18AI or UC Surface. You’ll also be able to cascade any two RM mixers, allowing for an RM32AI and RM16AI to work in tandem. New network configuration interfaces and networking features for AI Consoles, RM mixers, and the CS18AI, including the ability to manually assign static IP addresses. Remote control of Capture 2 from both the CS18AI and UC Surface. AI Console, RM mixer, UC Surface and Capture 2 performance improvements and bug fixes. StudioLive AI Console, RM mixer, or CS18AI to your user account at my.presonus.com, and you’ll then have access to the StudioLive AI Public Beta section of the PreSonus forums. Note that only users who have registered a qualifying product will have access to the beta section of the forum. Please know that with beta firmware and software, there is always a risk of encountering a bug, so we don’t recommend using the public beta firmware and software for mission-critical gigs without first testing it out in a non-production scenario. Also, we ask that all questions and bug reports for public beta issues be directed to the public beta forum, and not via technical support tickets or calls. Tech Support will not be able to assist with beta software and firmware. The guys in Nothing More tour with a StudioLive RM mixer, running their favorite plugins at their live shows. Here’s how they do it. 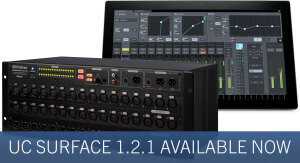 We’ve released an update to Universal Control AI and UC Surface for the StudioLive RM mixers. Click here for the full change log, download links, and update instructions. Here’s Jonny Hawkins from Nothing More discussing his band’s use of the RM32AI for running backing tracks and monitors during the Juggernaut tour with Periphery! Thanks for your support, guys! Thanks to StreamWorks Audio for the coverage from NAMM! For more on the RM series mixers, click here. B&H Photo Video has an incredible video team and knowledgable, helpful staff. Check out this thorough overview of the RM series mixers that they put together. Thanks so much for the support, guys!